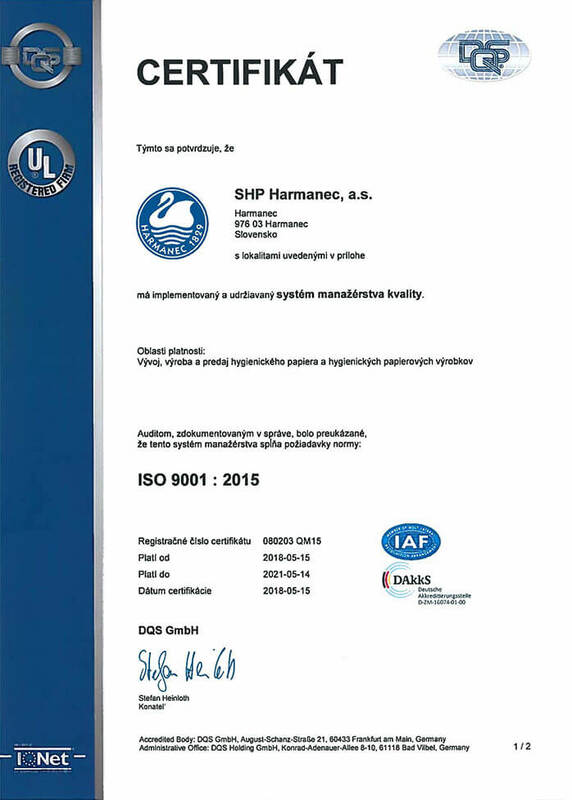 In order to show the customers and business partners the credibility and quality of our company, we obtained the basic and most widespread international quality standard, which proves the company’s ability to produce or provide its products and services with high quality. 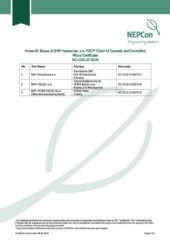 FSC® supports the environmentally suitable, socially beneficial and economically viable forest management. 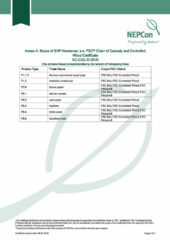 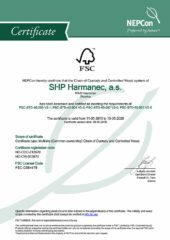 FSC® logo enables the consumers to identify the products made of wood coming from well and responsibly managed forests. 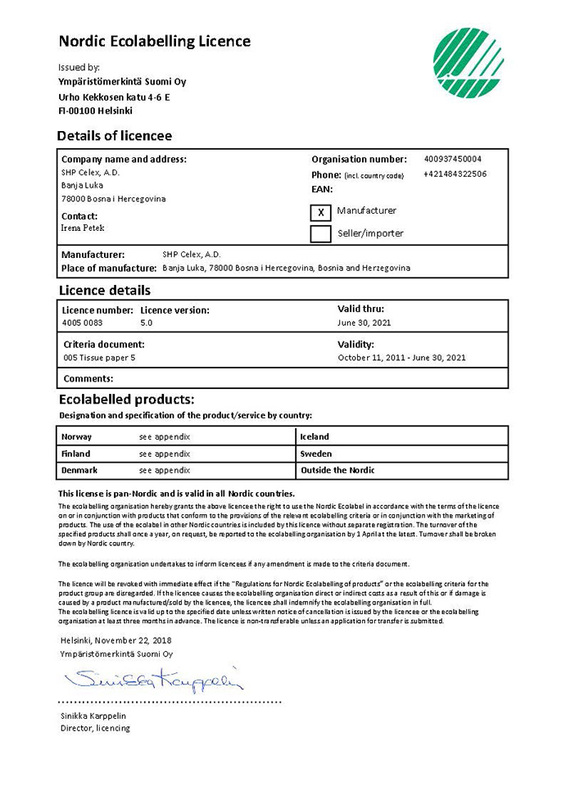 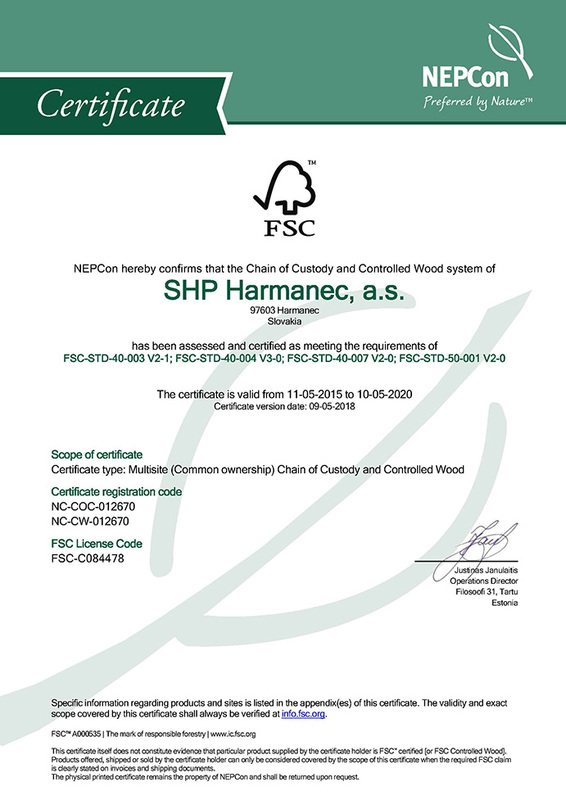 Verification of the set processes of environmental behaviour and environmental product safety and production thereof in SHP Harmanec has been confirmed by obtaining the NORDIC ECOLABEL. 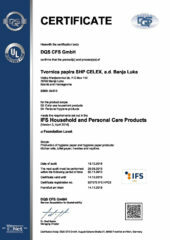 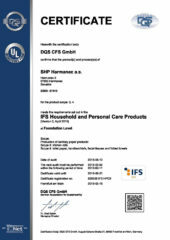 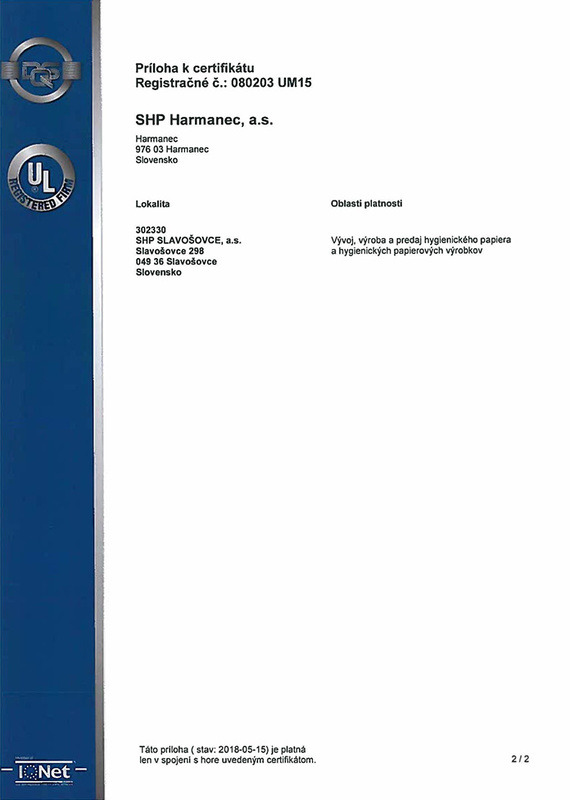 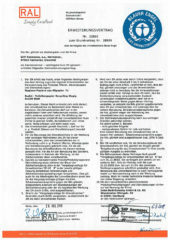 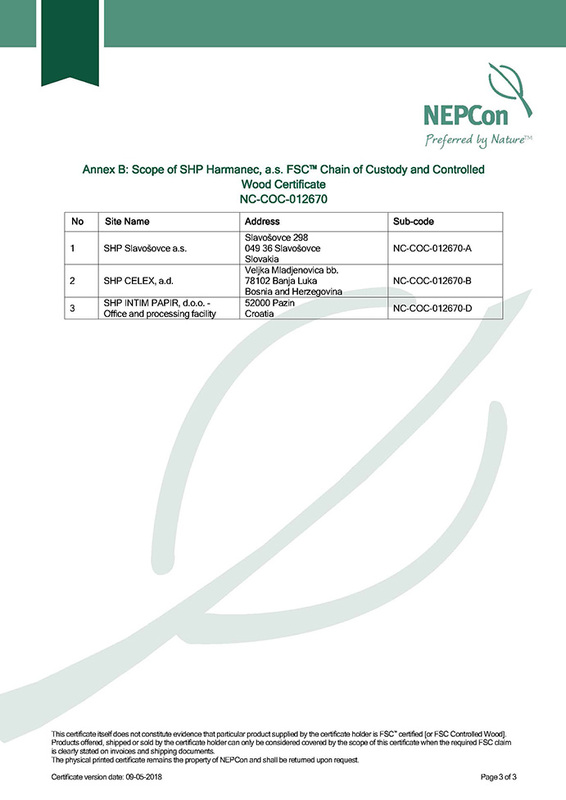 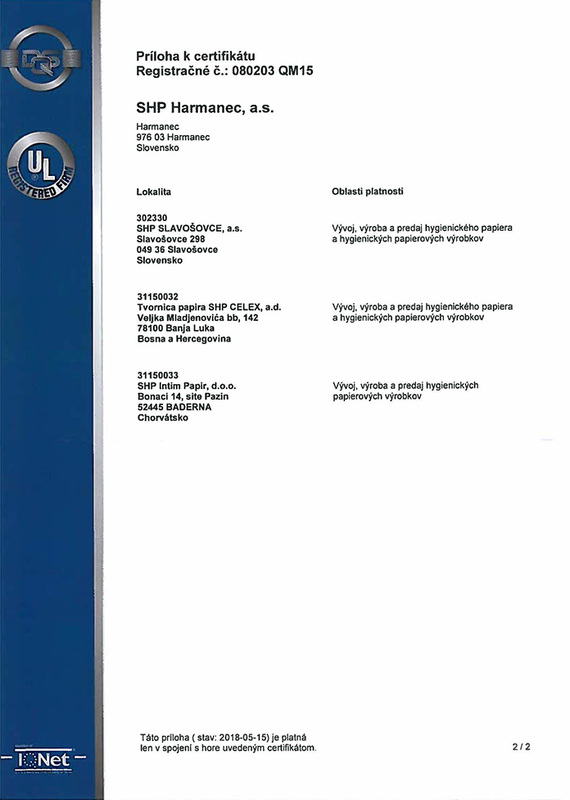 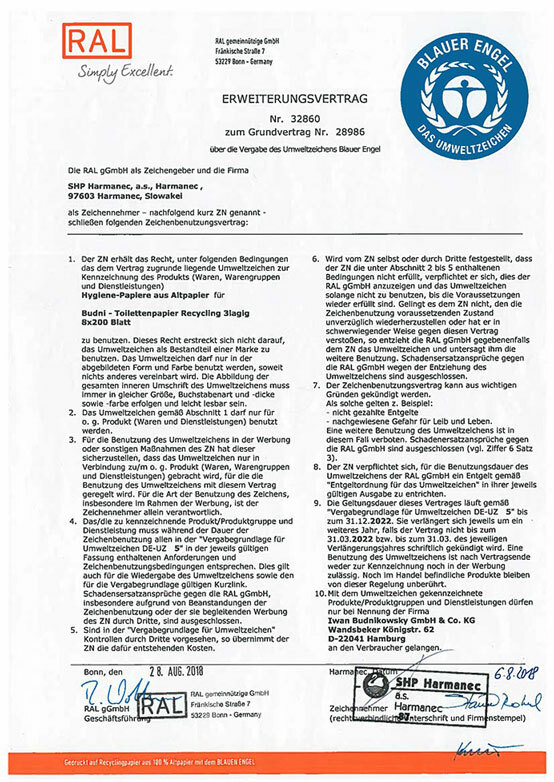 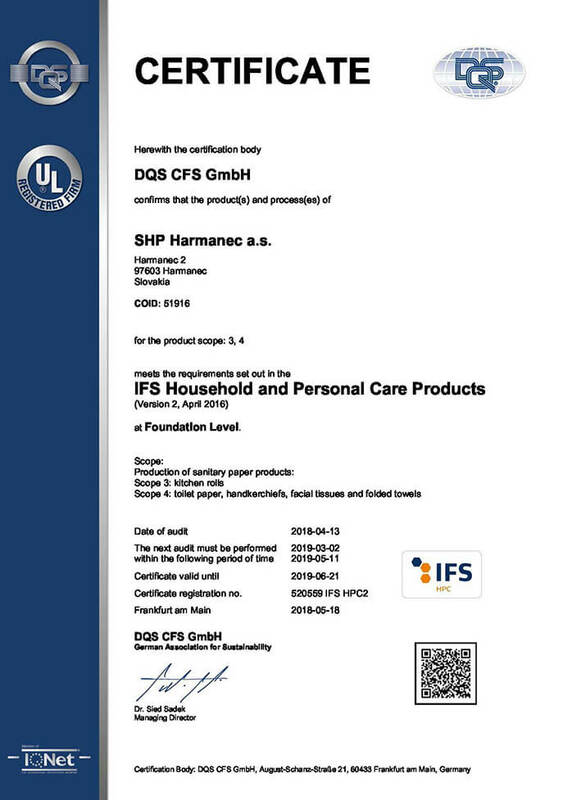 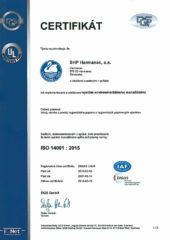 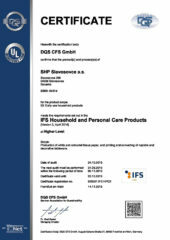 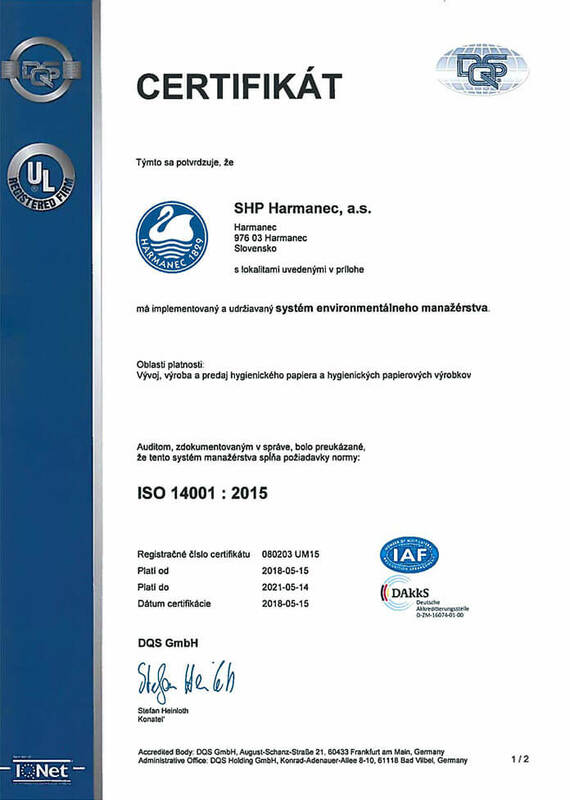 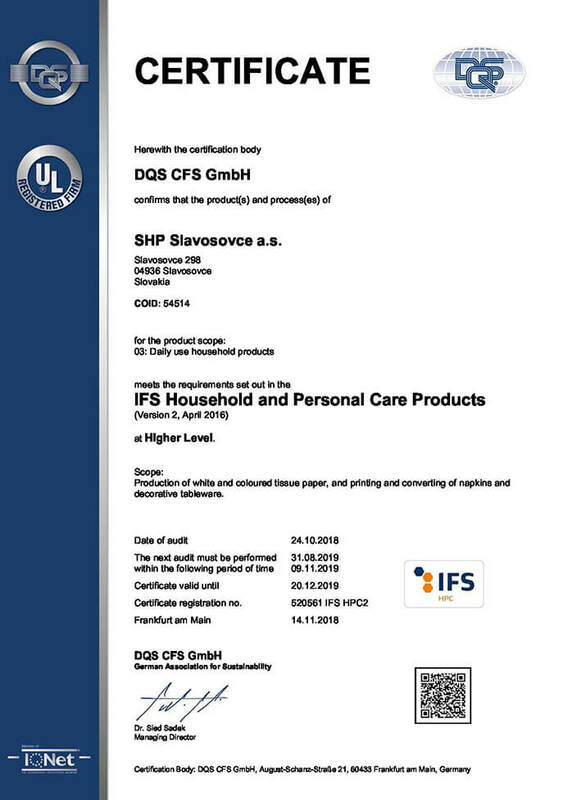 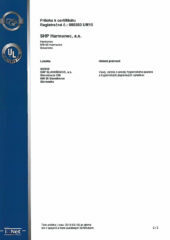 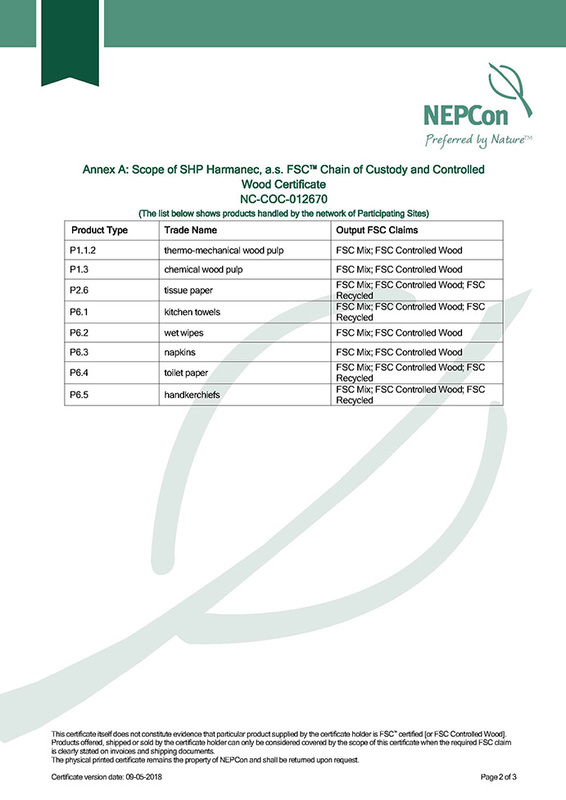 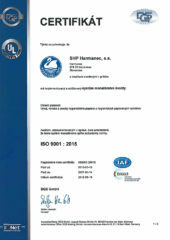 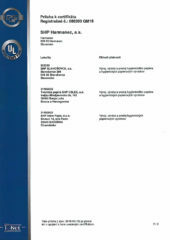 Safety of the products for end-users, sustainable quality maintenance and fulfilment of the requirements of retail companies, SHP Harmanec provides the paper hygiene product manufacturing for is confirmed by the IFS HPC certification. 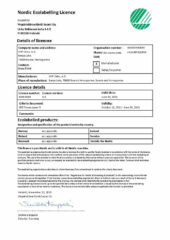 Germany’s oldest eco-label for products whose production process is environmentally friendly.